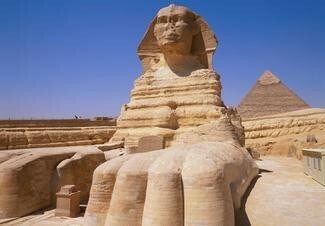 Most people have heard of the Great Sphinx, very few haven't. The Great Sphinx is one of the extremely important parts of ancient history. The Great Sphinx is facing towards the sun to represent the Egyptian sun god. 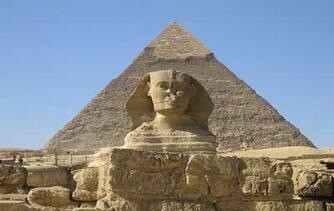 The Egyptians called the Great Sphinx, Hor-Em-Akhet (Horus of the Horizon). People can see why it was so important to the Egyptians, and others of the ancient world. It is also the largest surviving sculpture and monument from the ancient era. The readers will learn about who may have built it, secret passages, and what it looks like and looked like. No one alive actually knows who built it. Water erosion points towards about 10,000 B.C. because Egypt was a wet and rainy land unlike it is today. 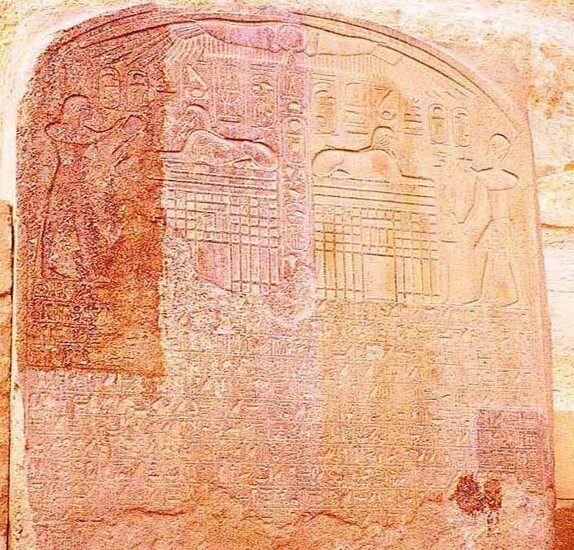 A common explanation for the enigmatic sculpture is that a 4th Dynasty Pharaoh named Chephren built it, the Pyramid of Chephren nearby has no inscriptions or symbols pointing towards the construction of the Sphinx even though the great Sphinx is a pretty grand monument. Although, the head has a strong resemblance to Chephren's older brother Djedefre. Conflictingly, Pharaoh Chephren was in a different time period. As stated in the article The Mystery of the Great Sphinx, "Consequently West and Schoch concluded that in order to have the effects of water erosion they found, the Sphinx would have to be between 7,000 and 10,000 years old." There is still an ongoing debate about who built it and the time period it was built in. Unsurprisingly, there are a number of secret passageways and tunnels. In 1978, two passageways were found on the tail and behind the head. Between 1991 and 1992 a team of people led by Anthony West found evidence of anomalies under the Sphinx using a seismograph. The anomalies were found in between the paws and at either side. These anomalies formed chambers and average sized spaces. In 1995 a group of workers found a series of tunnels and passageways while renovating a parking lot. Sadly. any further examination is not allowed due to preservation of the Sphinx. There are many describing features that make it different from the rest. It has the body of a lion and a face of a human. It is believed that it was painted dark red and was actually quite colorful when it was made. It has an altar made of granite in between its paws. It's huge at 20 meters high and 73 meters long. The nose is missing due to what people used to think was napoleon's men. Then people found out that it was the unfortunate target practice of the Turks. Almost the entire Sphinx was buried under sand until people dug it out in 1905. It is slowly crumbling due to wind erosion, and the smog from Cairo. 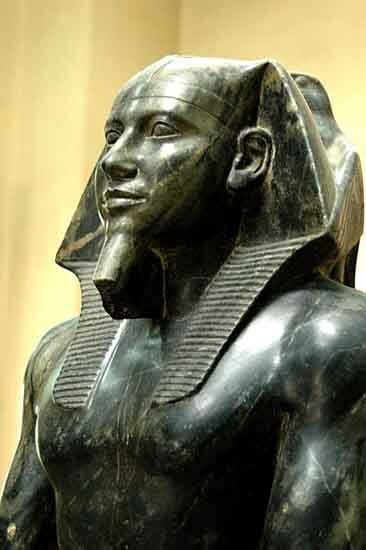 As stated in the article named 20 Facts About the Great Sphinx of Egypt, "Researchers believe that blocks of stone weighing approximately 200 tons were quarried in the construction phase to build the adjoining Sphinx Temple." What do people do with it today? In this moment of time, tourists from all over the world come to this one, amazing, place. People gaze at the hard work of the slaves who built it and the architects who designed the beautiful sand sculpture. The passages under echo with the talking of tourists. The structure stands tall facing towards the sunrise. It's easy to see why the Great Sphinx is one of the few important parts of the ancient era. It stands today, still, and only has minimal damage. Good job Egyptians! "The Mystery of the Great Sphinx." Ancient History Encyclopedia. N.p., n.d. Web. 01 Dec. 2015. "20 Facts About The Great Sphinx Of Egypt." Ancient Code. N.p., 20 Dec. 2014. Web. 17 Dec. 2015.